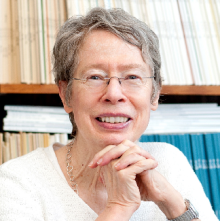 Carolyn R Miller is SAS Institute Distinguished Professor of Rhetoric and Technical Communication, Emerita, at North Carolina State University. Her research interests include genre studies, digital rhetoric, rhetorical theory, and rhetoric of science and technology. This work has explored rhetorical concepts of invention, agency, kairos, ethos, and community, and her work in genre has been foundational to North American genre studies. She has recently co-edited Emerging Genres in New Media Environments (Palgrave, 2017) and Landmark Essays in Rhetorical Genre Studies (2018). She is a Fellow of the Rhetoric Society of America and Fellow of the Association of Teachers of Technical Writing. Her professional service includes terms as president of the Rhetoric Society of America and editor of its journal, Rhetoric Society Quarterly. She has lectured and taught in Brazil, Canada, China, Denmark, Italy, Norway and South Korea.